Bali is only a few days away. We can make it, right? Christina says as we spend the first night staring at torn wallpaper and bugs crawling around our bed. Is that a blood spatter? I kid but the joke isn’t funny. It’s too soon or maybe too early. This Yogyakarta travel guide is part of our series on Indonesia Travel and Southeast Asia Travel. It was originally created on September 25, 2015. It has been maintained and updated (as of December 27, 2018) to reflect current viewpoints and travel trends. After hours searching for our place far away from everything, the only hope for food is a Popeye’s Fried Chicken that is miles away the real thing. Prepping ourselves for the immediate guilt after eating such drivel, we gobble lukewarm fried stuff as the evening prayer begins and wonder where it all went wrong. Just a few hours ago we were relaxing in Kuala Lumpur and singing Southeast Asia’s praises. What happened? Our hopes are sputtering but that will soon change. Yogyakarta or Jogja, Indonesia is more than just one bad night and we will soon rethink those dramatic thoughts from then. Quickly discovering the ins and outs of the beautifully chaotic city, we’ll realize that this really is Java’s cultural capital. 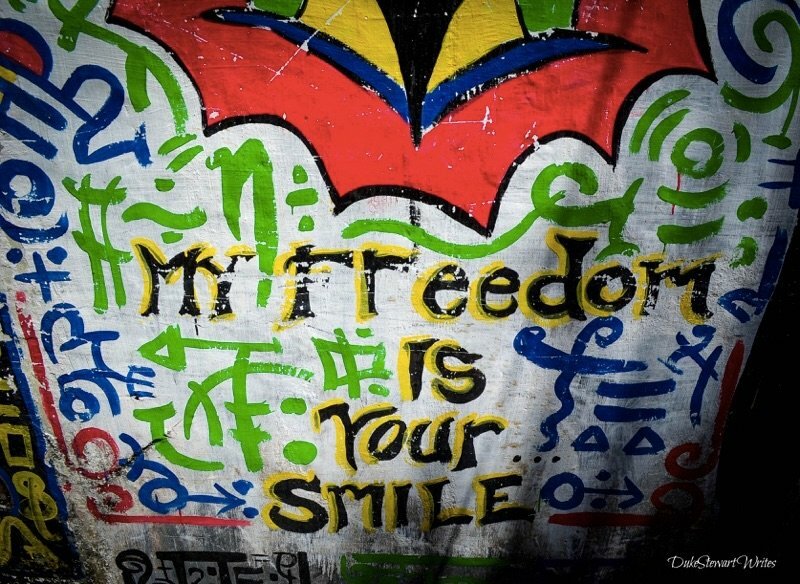 Our time moving around Yogyakarta started rough but ended with smiles mixed with sadness that we ever had to go. Jogja is definitely perfect for travelers and in looking back, it’s one of my favorite cities. Before I can say that, we first have to pass through the rough patches that had us searching for the next flight away. Then you’ll see the beauty of Yogyakarta. We get off the plane and don’t know what to expect. New countries and cities create an air of uncertainty that’ll probably never go away. Both Christina and I read and talked about the hustle and bustle but as soon as we cross the tarmac and through customs, it’s there and in a fierce way. Before thinking about Jogja and all of the wonderful cultural things we’ll see, my eyes struggle to process bags of all colors flying around and people fighting for just enough space to locate their own. We thought that Yogyakarta’s chaos would be outside these walls and that this area would serve as a protective buffer. I clearly understand that it’s all coming together here. Read about a place and prepare as much as possible but you’ll never be ready until you step into it. As soon as we’ve got bags ready and strapped in, an army of taxi drivers are waiting and eager to take us to our hotel or wherever as long as it’s in their car. Following words of other wise travelers, an official taxi desk just outside the arrivals gate gives us a ticket at a fair price and a man guides us to a car. It’s only been 30 minutes since touching down and exhaustion is already on its way. To say our taxi ride from the airport is anything less than gray hair inducing would be a crime. Occasionally the driver raises his hands and gives up, trying to convince us that he won’t find our hotel. After another half hour of driving around, he spots it and lets us out. The “hotel” is more a collection of rooms that may or may not have been crime scenes in the recent past. We drop bags and run as far away as possible to scout the next room and grab some food. 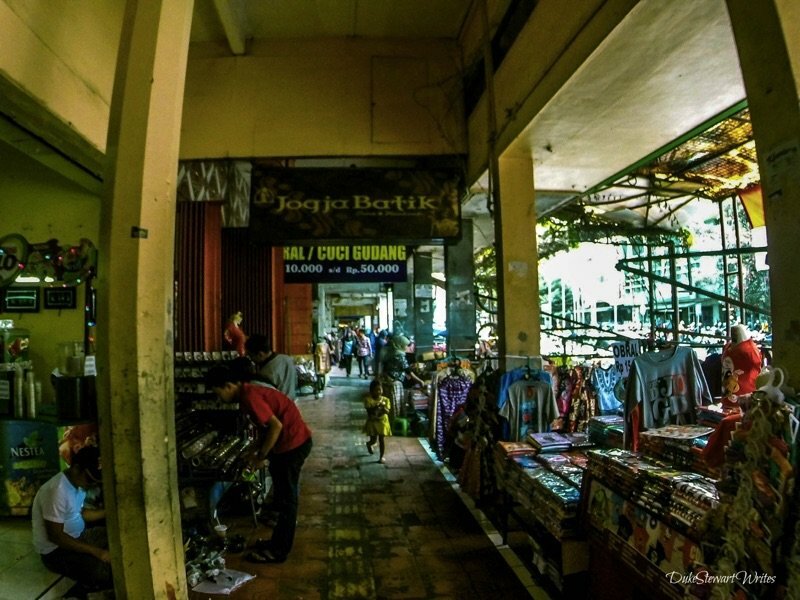 A walk towards Yogyakarta’s Malioboro area leads us through a shopping mall, where we stand on an escalator and just breathe and relax for a few moments. It’s really hot in this city and five minutes outside reminds me of wonderful saunas that I enjoyed during the Korean winters. Back outside and refuge has formed through massive white clouds that have come to play with the powerful sun. Crowds have also come and lined the street. A friendly man mentions that a festival is about to start. We’re already standing in the shade when the music picks up. Long lines of costumed university kids stream past us with traditional music blaring all around us. 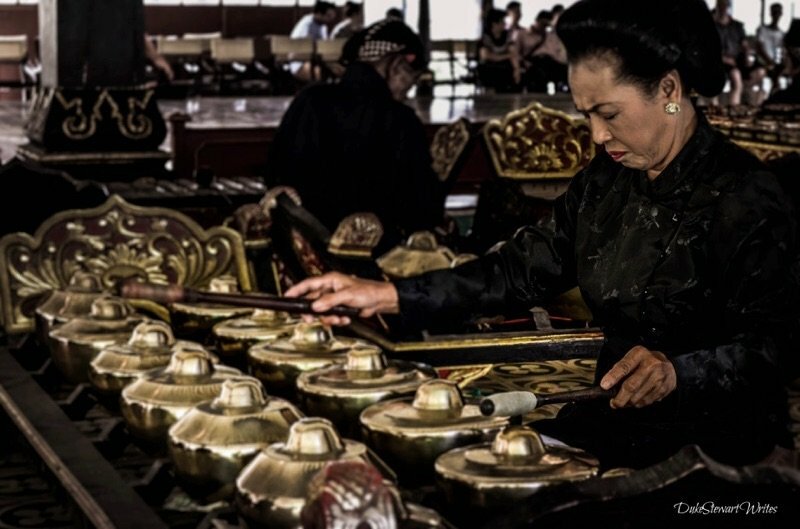 Some sounds come from speakers while others come from the kids who play their own instruments. It’s a beautiful scene and I’m immediately hooked, thinking that this festival was the boost we needed. Passersby occasionally stop and ask for a photo with us, which is a welcome way to further brighten our moods. 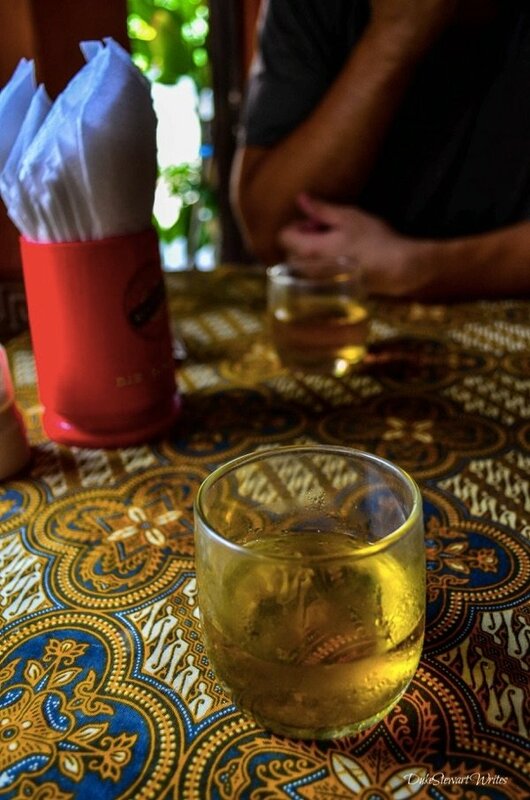 We know that those first moments in Yogyakarta were a bit rough but moments like these explain that there’s something more here. We stay and watch for as long as our empty stomachs can stand and begin the search for some of Indonesia’s finest cuisine. Through the festival and searching for some chicken satay or something else along the street, taxi drivers and tour operators haven’t forgotten about us and continue with their promises of comfort and a great time somewhere far away! A simple wave of the hand and no thank you does this trick but it takes a few times repeating myself to stop them. 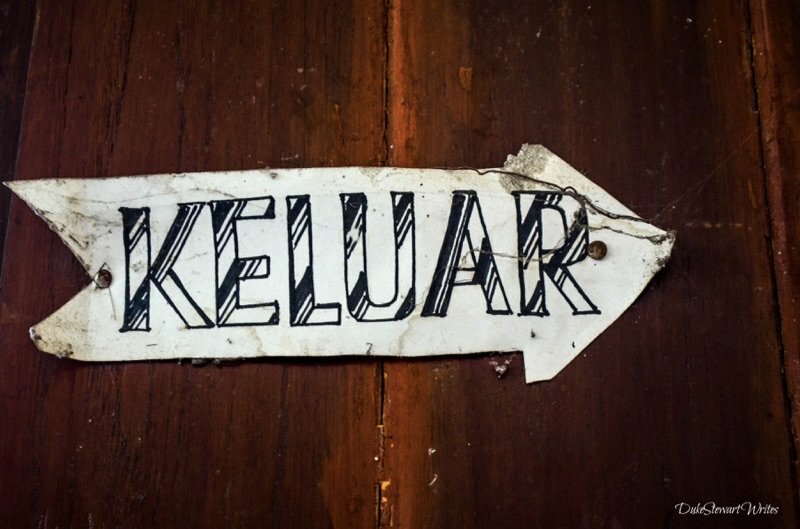 A quick glance in the guidebook as we stop at a coffee shop for some air con time and I discover 4 simple syllables that will spare us on so many occasions during this journey through Indonesia. Even before they can utter Transport? or can offer me a Bromo tour, it’s Jalan Jalan (Just Walking) accompanied by an assured smile. If I’m really feeling clever, makan angin will convey to these fine gentlemen that I’m sucking air but also sauntering at a comfort level that doesn’t require their assistance. These phrases work and we can calmly hold off their powerful entrepreneurial spirit. Other than our first few moments adjusting to the chaos, I never feel in danger as we walk through Yogyakarta. It’s just nice to have a little extra protection in the form of a simple phrase or two. Isn’t it wonderful that something so easy can make a person feel safe? Our first night was a different story and I have to say that my wife and I held each other tighter than anywhere else on this journey. We leave just after the first Morning Prayer begins and hightail it to Malioboro and check into a cozier set of rooms right in the middle of the action. 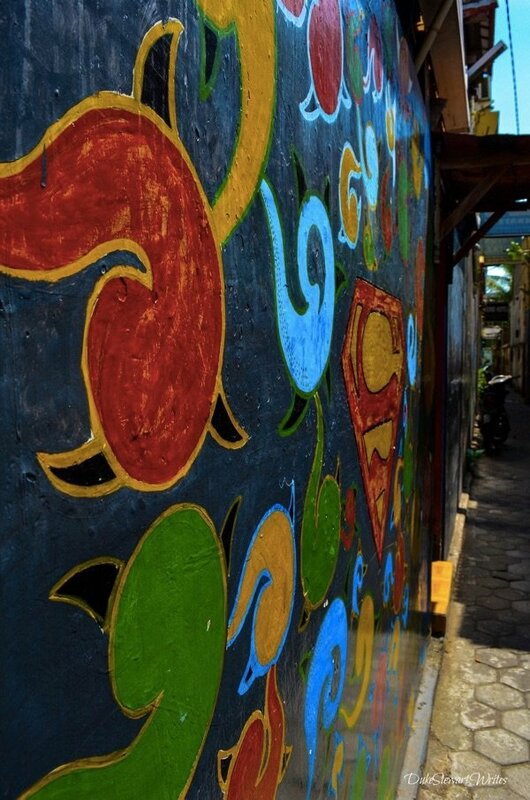 Each day starts with a stroll around our Malioboro’s colorful back alleys and through the Batik shops that line the outer streets. 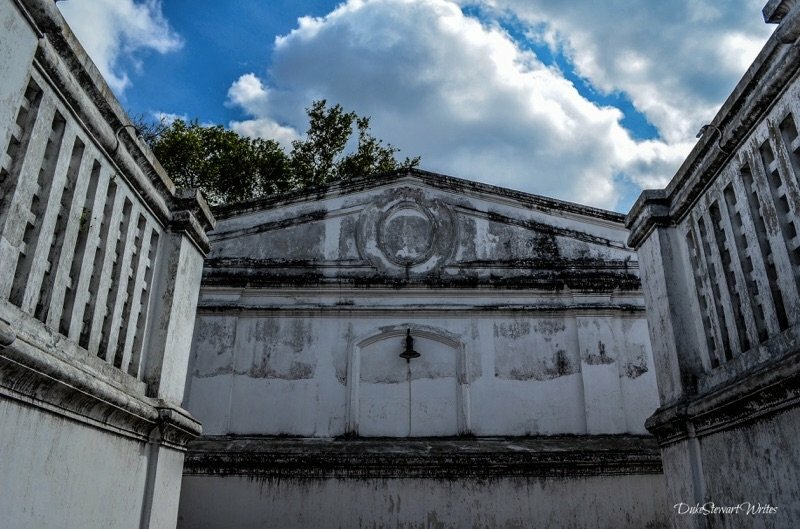 Yogyakarta is known for many things but the city’s famed Kraton is one of the biggest draws. Many generations of the local Sultanate have lived there and we set off while the sun isn’t too high, though it’s already hot even by 9 A.M. Through frequent dashes to the nearest tree for some shade and a swig of water, we approach the Kraton or what we think is the main entrance. Apparently the ruling family has split into two feuding factions and visitors feel its effects through a minor rip-off by something resembling the official entrance with uniformed officials and everything. Of course, we enter the wrong Kraton (8,000 Rp.) and notice it’s nothing more than a display of really old horse carriages and that the price distinguishes the real one (price: 14,500 Rp.) from the fake. 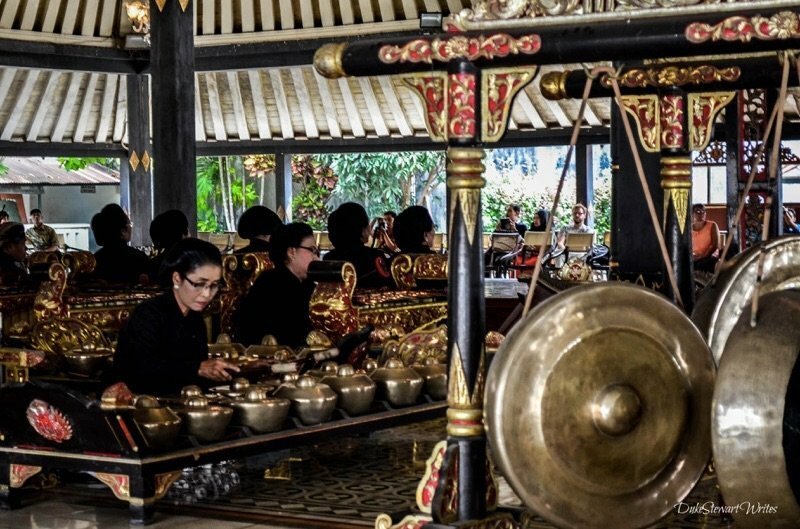 The morning’s Gamelan performance (twice weekly) is about to start and Christina’s looking forward to this, as she read about these performances back in school. We sit next to a European tourist who’s playing with his Canon and trying to get the most out of this hall. The players sit down and the performance begins as tourists pour in and occupy all of the remaining seats around us. The mixtures of sounds that originated as a means to summon the gods. We spend at least 15-20 minutes just listening and admiring these lovely and soothing tones before Christina hops up to get some better angles with her camera at the back of the hall. After enjoying the rest of the Kraton and its pristine white walls, we head back to Malioboro and spit out jalan jalan whenever necessary. A day with our friend Atik at Borobudur comes next and wipes us out to the point of only leaving the hotel for food. 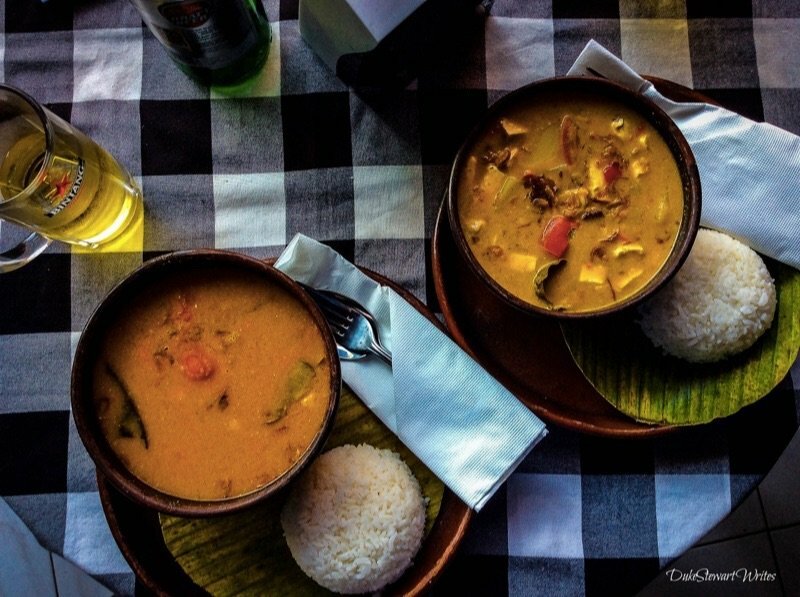 We muster up enough energy to stroll around Malioboro’s used bookshops and through the Batik wilderness before eating some street food, fried noodles or some curry. As the last day fades into darkness, we silently hope for just another day or two because there’s so much more we want to see in Yogyakarta. It’s really hard to move on when a place remains on your mind for days after leaving. I sip on one final cup of jasmine tea that’s been so good throughout the week. A taxi takes us back to the airport where it all started. Even as we touch down in Bali and find ourselves in a much cleaner airport, I immediately feel different and a bit uneasy. A much older and obviously wealthier crowd surrounds us, with backpacks and functional bags replaced by designer fare and rolling luggage. I block it all out for a minute and remember the wonderful Java that we just left. I imagine grungier and more chaotic scenes back in Yogyakarta and smile strong enough to push on towards a taxi stand. Our first days in Ubud don’t live up to the dream that built itself up over conversations and series of pictures online. I immediately grow tired of seeing Julia Roberts around every corner. Aside from overpriced art shops and food that’s meant to suit less adventurous palates, we’ll learn to love Bali too but it’s different from Jogja. Back there, we felt more like travelers and less like tourists who’re hell bent on finding their perfect “Love” moment. Jogja had touristy parts and maybe Malioboro fits into that territory but at least I felt on a journey while there. Yogyakarta has its flaws but for travelers in search of finding something real, it’s paradise. What do you think? Ever visited this city before? If not, have you ever felt similarly about a place? 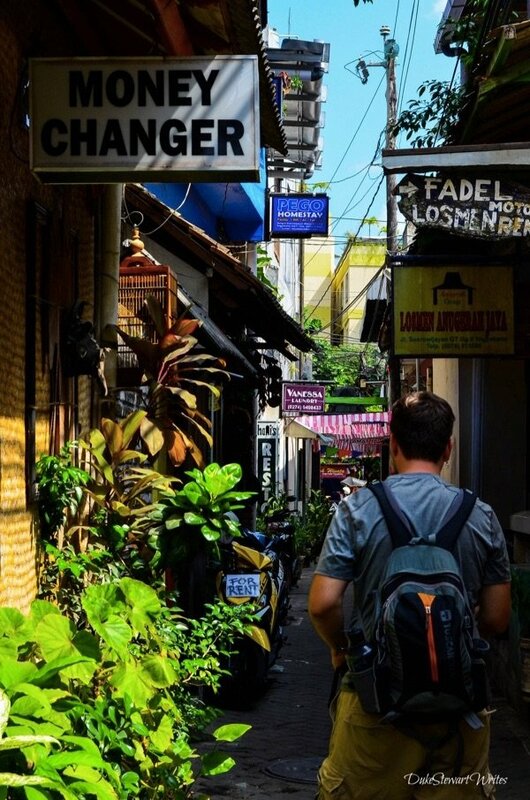 I’d love to read your thoughts about this and other spots throughout the world! Hi there Ria, I’m happy that you stopped by to comment. You must know quite a bit about Yogyakarta, huh? Have you been living there a long time? Even if not, I’d love to read your thoughts on the place. Shoot me a line if you’re interested in Guest Posting on it and we can talk details via email. dukestewartwrites at gmail. Take care and looking forward to talking with you. This was a really entertaining read! I could totally envision you guys hugging each other while trying to fall asleep surrounded by all ‘the horror’. I have to admit that it made me laugh out loud (sorry)- (but that is really a compliment to your writing!) Glad to hear that the days got better, and I will look forward to reading your upcoming visitor’s guide. Like you two, we thrive on exploring spots that aren’t so washed over with touristy gloss. Hey there Lara, thanks for the compliments! No worries about the laughs at our misery:) I’m sure my wife and I will always refer to that place as a murdertel and will probably hold any other terrible “hotels” up against it. Hopefully none will surpass that one, even though some came close during the rest of our trip! I bet you had some doozies before? 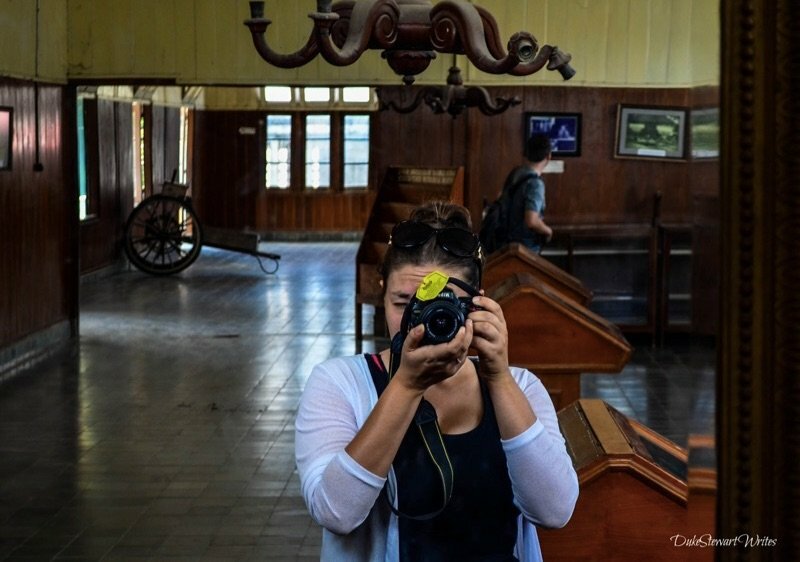 Lol, I exaggerated but wouldn’t dismiss the possibility of dead bodies sitting in a room somewhere nearby:) Yogyakarta is awesome man and I want to get back there to check out the Water Palace. It was under construction when we there. The city itself really caught on with me and I’ll always recommend it to people. Glad you enjoyed, Nathan! Hope you’re enjoying some Indian food right now! Hey Katie! Yeah, the festival was a pretty awesome pick-me-up on that first day. Got any plans to head towards this part of Indonesia? Thanks for commenting!